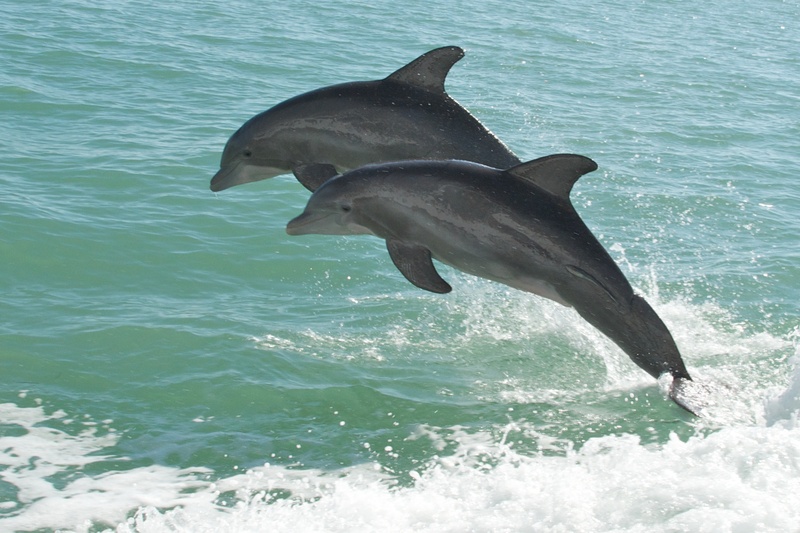 Dolphins have survived millions of years without key viral proteins (Pete Markham, Flickr). Researchers at the Stanford University School of Medicine have determined that toothed whales lack functional Mx genes — a surprising discovery, since all 56 other sequenced mammals in the study possess these genes to fight off viruses like HIV, measles and flu. Modern toothed whales, including dolphins, orcas and sperm whales, have inherited defunct copies of the Mx1 and Mx2 genes, profoundly altering their immune systems. The basic role of these Mx genes is to make proteins that fight viral infections. Although the toothed whales have survived millions of years with this genetic mutation, they are currently plagued by viral infections, such as the recent mass stranding of bottlenose dolphins that was attributed to cetacean morbillivirus. Researchers hope that their new discovery of this mysterious genetic anomaly will help preserve these cetaceans. Read more about this intriguing research at Stanford Medicine.